Top 5 One Day Visits From Milan | Its the journey that matters. Milan is not all about the Duomo. Or The Last Supper painting by Da Vinci. Yes, staying in Milan has many more advantages. Strategically placed in the center [although in the north of Italy] of many tourist destinations, Milan offers a wide choice of one-day visits all through the year, be it Winter or Summer. Just in few hours of driving in your Car, or in Train you can reach either the Mountain or the Sea. There are numerous places to relax in the summer in Milan. And especially in summer, when the days are long, it’s an added bonus to visit places so you can stay out longer. 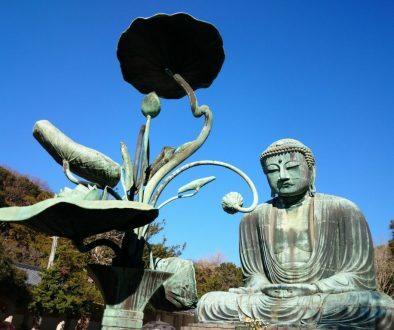 Today, I am planning to recommend the top 5 destinations with the theme centered around Water. And to make it even more attractive, all these places are easily accessible by public transports. So, why wait for? Move. Lake Como or Lago di Como, as locals call it, is a famous destination for many. It is one of the largest lakes of the Lombardy region. Do not wonder if you get an electrifying experience when roaming in Como. Yes, it is the birthplace of the Italian physicist, chemist, Alessandro Volta, the inventor of Electrical Battery. Como can be easily reached using Italy’s railway network. The regional trains run from Milan to Como frequently, taking around 40 minutes. There are trains from both Milan’s Stazione Centrale and Stazione Porta Garibaldi and arrive at San Giovanni, Como’s main station. From the Como station, you can walk through the streets to reach the Garden of Tempio Voltiano. While you walk around to reach the garden, you will find innumerable restaurants and the aroma that would challenge your appetite. If you are on a budget, do not worry. There is a nice place to do a short shopping right opposite the Garden, Carrefour supermarket! This garden is dedicated to the Inventor Alessandro Volta. Behind the garden, you will also find a small museum of Volta. 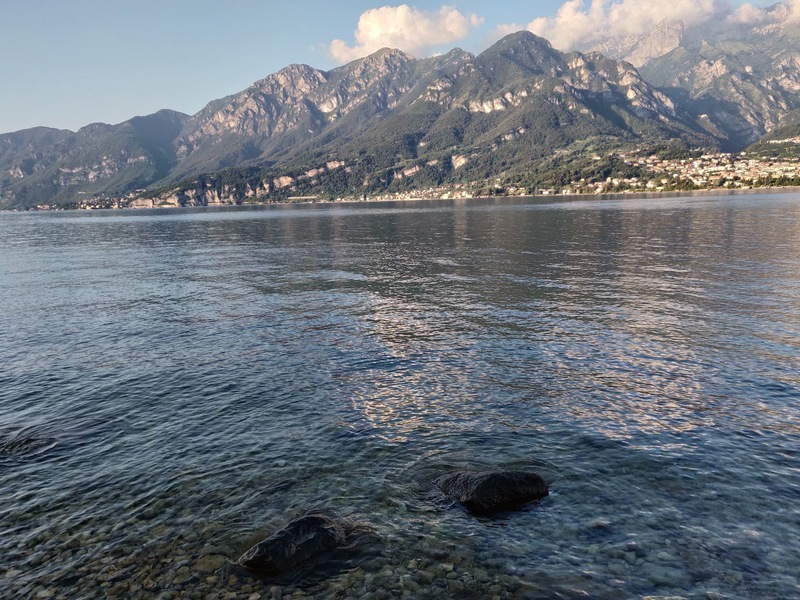 A typical Como itinerary would be to make a visit to Lake Como, take the Ferry to have a pleasant ride on the wonderful blue water and jumping between the 3 famous towns called Bellagio, Menaggio and Varenna. Each town has its own views. Enjoy the views and stroll around the town. Then get back to the Lake Como and depart for Milan. I do not deny. But this offers fewer chances to play in the water. Remember, the theme of the post is to play in the water. So, my personal recommendation would be to get to Como and walk around these garden, have some nice Cappucino in the nearby restaurants and head to the Ferry. Get a ticket and board the Ferry to Bellagio. Once you reach Bellagio by Ferry spend some time enjoying the nice Gelato there. The town is also interesting with many roads and steps interlinked. I am sure you will enjoy walking on that mixture of stairs and streets, the views are nothing that can be expressed in words. Then once you are done with lunch here, head to the Bus station. Instead of returning to Como again, you can try the bus service to Lecco. There are not frequent buses from Bellagio, so you need to plan it accordingly. You can get the bus timings from here. There is a nice place to hang around and play in the water a few kilometers from Bellagio. The place is called Onno, and the stopping or the Fermata is right next to the camping site called “Camping La Fornace Alex Bonzi”. And do not forget your swimming costume. You can spend a good amount of time here playing and enjoying in water. Even in summer, these places do not get overcrowded. Next stop is to reach Lecco, you can use the same bus service to reacg Lecco. Lecco is the eastern branch of the Lake Como, and a walk around the promenade of Lecco waterfront is something you should not miss. Especially during the dawn. Doesn’t it sound romantic? You will find many swans here which is much used to human crowds. 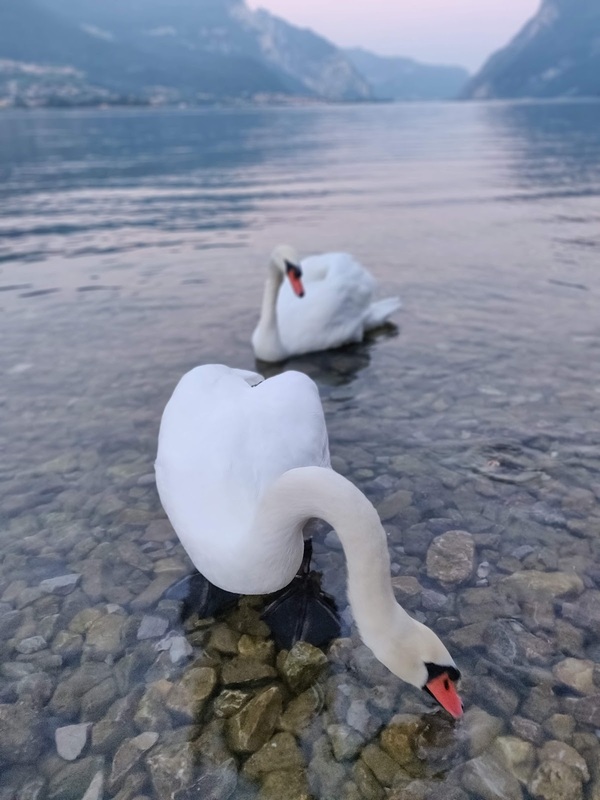 You will be surprised by the fact that these swans just don’t care or get scared of human, and will pose so nicely for photos. And end your trip with another Gelato before boarding the train to Milan. 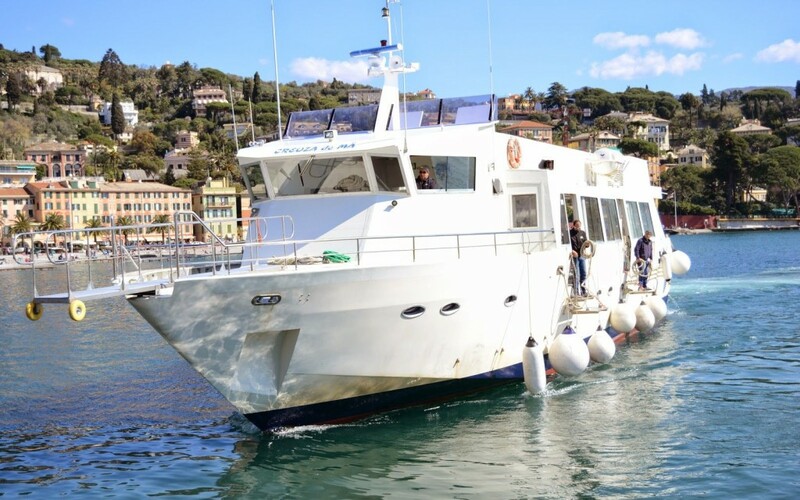 Portofino is another beautiful port that can also be easily reached by road. 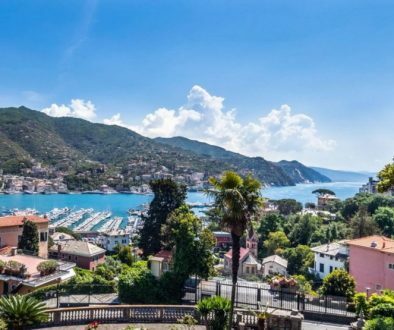 From Milan, you can board a train and in little above 2hours of the ride, you will be in the Santa Margherita Ligure – Portofino. The ticket cost is around 15euro and can be either purchased online here or in the ticket office. 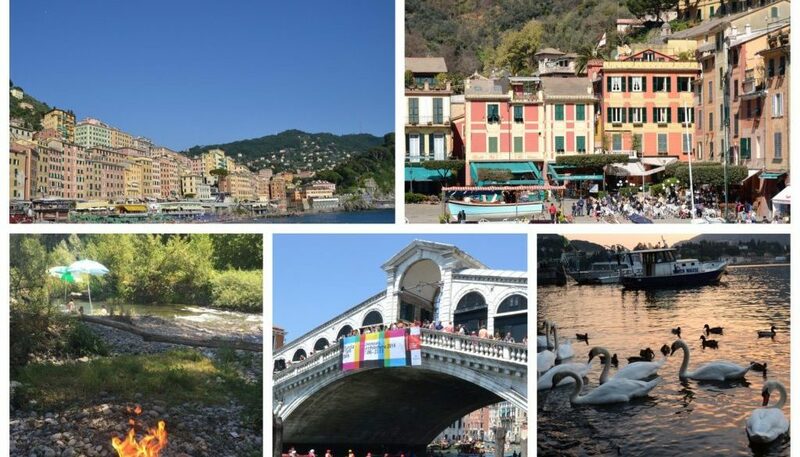 Santa Margherita town itself is a beautiful one to spend some time walking around in the parks near the ferry stops. From here, my recommendation is to pick a ride in the Ferry to the Portofino. The cost for one person is 12 Euros for a roundabout trip. One way trip costs 7 Euros. I have extensively covered the “What to do” in Portofino in this post. Time to revisit, for more details. If you love walking along the shores, you can walk back from Portofino. Again, if you are picking my recommendation of walking back – kudos to you, here is a bonus treat for you. Around 1.5 KM, you have a beach in the town called Paraggi. So, you can spend some nice time in the water. Here you have both a private beach and also a public beach. If you are happy to just sit on the fine sand and enjoy the view of the sea, you can pick up the public beach. Then you can start your walk to Santa Margarita. If you are really exhausted, do not worry. You can get the bus back to Santa Margarita station, from where you can take your train back to Milan. Camogli is one of Italy’s best kept secret place. Both Camogli and Portofino are on the Ligurian coast of Italy. The main difference is the beach. In Camogli, you have a nice beach which is missing in Portofino. Some say that the name Camogli is the shortened version from case delle mogli (“house of wives”). Seems like it got the name from the women who where left behind and watched over the town while their fishermen husbands went for fishing into the sea. From Milan, the train journey takes somewhere between 2 to 3 hours depending on if you are on Regional trains or the Intercity. Some train journey needs a change in Genova. Since not all the trains stop here, you could also take the train till Rapallo or Santa Margarita and arrive here by bus. It’s not a long walk from the station. But if you are with luggage it could be a bit difficult for you need to climb some amount of stairs to reach the beach. As always in Italy, this place also has most areas in the beach occupied by the private operators. But the beach is huge and it does offer space for the regular public as well. Some interesting facts on Camogli. On the second Sunday of May every year there is a Fish Festival (Sagra del Pesce) that takes place on the Piazza Colombo in Camogli. This is a very famous event of the Liguria region where 1000s all over Italy visit here. The highlight of the festival is that 100s of kilograms of fish is deep fried in a huge pan, and served free to all visitors. Yes, I hear you cribbing that the month of May is over. Well, keep this info in mind, and plan your next visit accordingly. Now, do not miss the focaccia col formaggio, local delight. Once done, get on your swimming kits and jump into the water. Venice. There is no need for an introduction to this Land of Canals. I have captured the details on the places to visit in Venice in this post. So, to be with the theme of this post, I am going ahead of my recommendations about the beaches here a well. Most tourists exploration ends in Rialto bridge & Piazza San Marco. Few people extend it to the neighboring islands like Murano to visit the glass factories. Seldom people visit the LIDO in Venice. Yes, you hear me right. You do have a nice beach in Venice. But to enjoy this beach, you need to move far from the busy and crowd filled part of Venice. Do you know that this is the place where the Europes most famous Flim festival takes place? Yes, and they do have an open-air Cinema here. To reach the island with beach, take the water bus which costs about €7.50 per person. From the docking station, you can walk straight to the beach which is on the opposite of the island. In around 10 minutes you should be in the Lido. 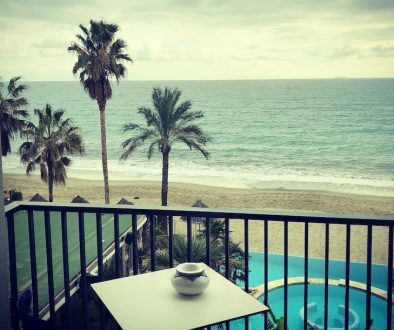 There are private operators who rent the chairs and umbrellas for little less than 30 Euros. This gives you access to showers and the toilets too. Time for your enjoyment! Have fun. An amazing place to relax in summer. 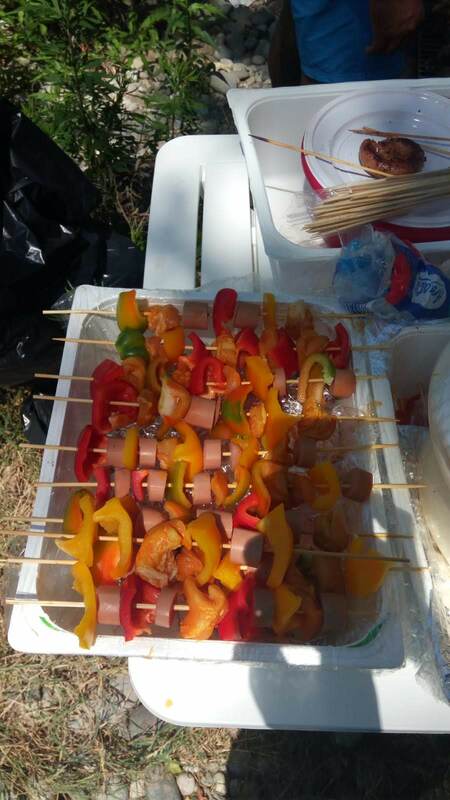 And if you love barbeque this is an ideal place you should not miss. Its less than an hour of drive from Milan. For those looking for public transport, there are several options. From Milan, you can either reach Trevglio by train and take a bus to Adda, or get in the Metro M2, Green Line and get down at Gessate. Then take the bus Z405 to the town and get down at the stopping called Piazza Garibaldi. From here, its a few minutes of walk. You could look for the address “Via Isola Ponti, 6, 20062 Cassano d’Adda MI” to reach here. 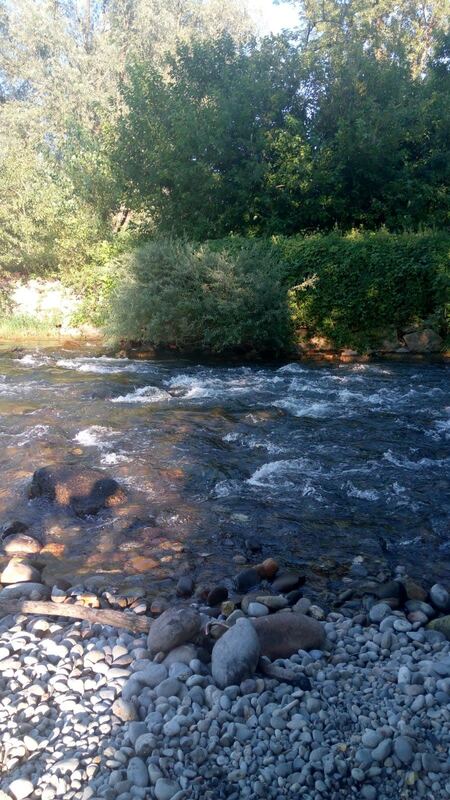 Here you have a nice flowing stream of water which I am sure you will love. Its a perfect picnic spot for the family. It goes without saying that on summer weekends this could be bit crowded. My recommendation would be to make a visit on the weekdays, it’s worth it. Hope you will explore all these places and let me know your comments and feedback on the places mentioned. I would appreciate if you can update in the comment in case you come across new bus/train information. I will update the post so it can help others also.